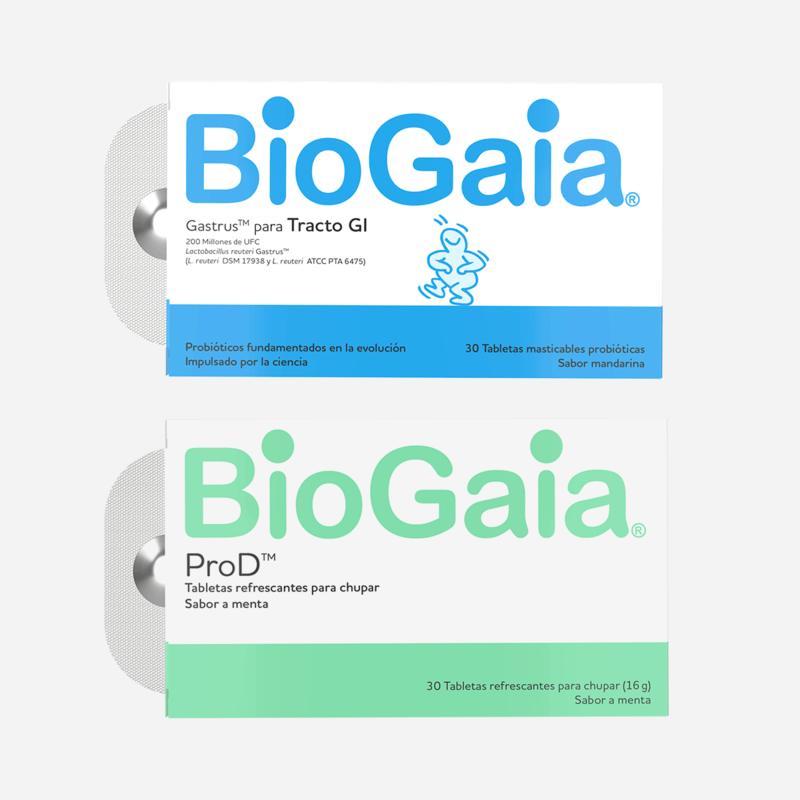 BioGaia Gastrus and BioGaia Prodentis is now available in Latin America. BioGaia Gastrus is available in Honduras and El Salvador through our distribution partner Agenfinsa. BioGaia Prodentis is available through Abbott in Colombia. BioGaia Gastrus is a food supplement containing the patented lactic acid bacterium Lactobacillus reuteri Gastrus (L. reuteri DSM 17938 and L. reuteri ATCC PTA 6475). BioGaia Prodentis lozenges is a food supplement for oral health containing the patented lactic acid bacterium Lactobacillus reuteri Prodentis (L. reuteri DSM 17938 and Lactobacillus reuteri ATCC PTA 5289) that helps the good microorganisms keep a natural balance in the mouth.